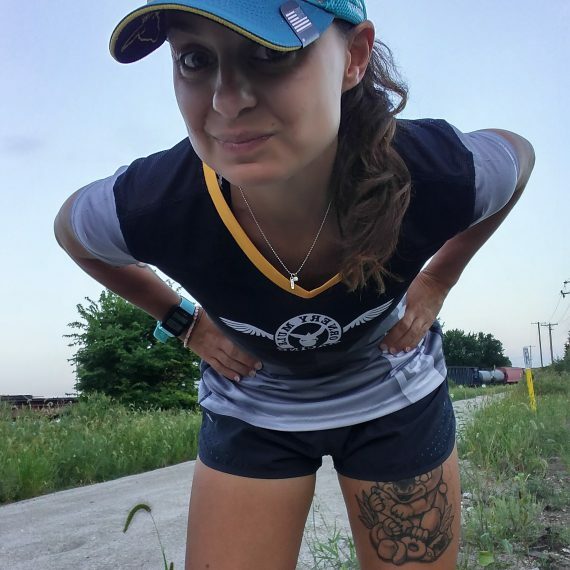 R4W: How long have you been running and what got you into it? Krystal: I’ve been running for 19 years. I started running because my Dad was a runner (still is) and I wanted to be like him. I ran 5k and 10k distances until 2010 after my daughter was born and I suffered from Post Partum Depression. Running became therapy and I started running half and full marathons. In 2016 I started running trail and ultra distances and have found my community! R4W: How do you stay motivated when you don’t want to run? Krystal: I stay motivated by looking at my daughter and remembering how far I’ve come and how much further I have to go. R4W: What animal would best describe your running form? Krystal: I think a good animal that would best describe me is a horse. Horses can run long and far with a steady space, and they’re very strong. R4W: What has been the funniest thing that has happened to you preparing for, during, or after a run?